Explore hidden gems such as Bellevue Beach and Room Escape Games. Get out of town with these interesting Turku side-trips: Ekenas Old Town (in Raseborg), Tulliniemi Nature Path (in Hanko) and Pyhan Katarinan kirkko (in Karjaa). The adventure continues: stroll through The Archipelago Trail, browse the collection at Turku City Library, have fun at Adventure Park, and enjoy the sand and surf at Ispoinen Beach and Sauna. 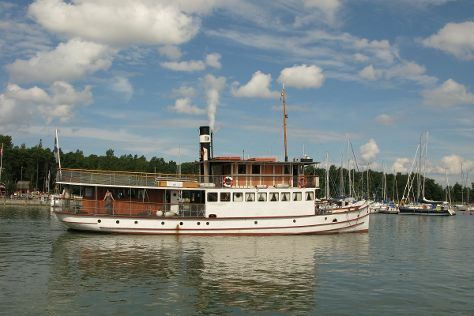 For ratings, other places to visit, maps, and other tourist information, go to the Turku trip itinerary maker site . If you are flying in from Ireland, the closest major airport is Turku Airport. In April in Turku, expect temperatures between 9°C during the day and -1°C at night. Wrap up your sightseeing on the 22nd (Mon) early enough to travel back home.